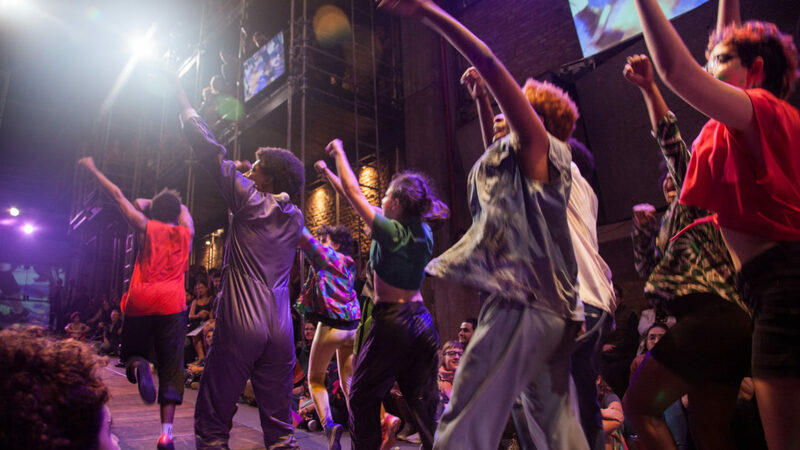 We're delighted to be welcoming young performers and activists from Brazil to share their inspiring story of youth action at Moss Side Millennium Powerhouse this May. coletivA ocupação is composed of students from different districts of São Paulo. They make projects that sit between art, activism and education. Their lives were changed forever by the high school occupations of 2015 and 2016 where more than 200 schools were occupied all over São Paulo in protest against the proposed closure of over 100 public schools. After a series of street protests were all repressed by the military police, the students jumped the walls of schools, broke the locks of the gates, barricaded the doors with chairs and stretched banners in the windows declaring “school is ours”. We are proud to bring this inspiring story to the sports hall of Moss Side Millennium Powerhouse, a building which houses many organisations that empower young people and encourages young people to take control of their futures and contribute to the community. This familiar space will be transformed by the energy and passion of the performers as you are invited to get up close to the action as real life invades the stage for a party, a protest, an uprising. 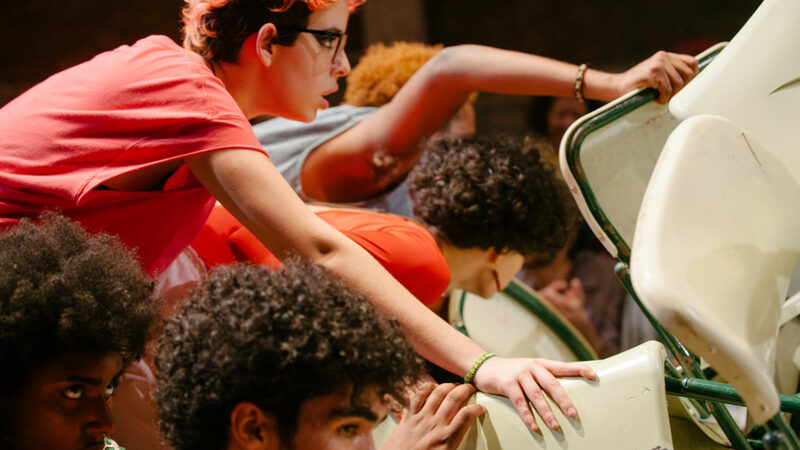 Using dance, live music and performance coletivA ocupação tell their extraordinary story and recreate the atmosphere of the Brazilian school hall in this exciting immersive experience. 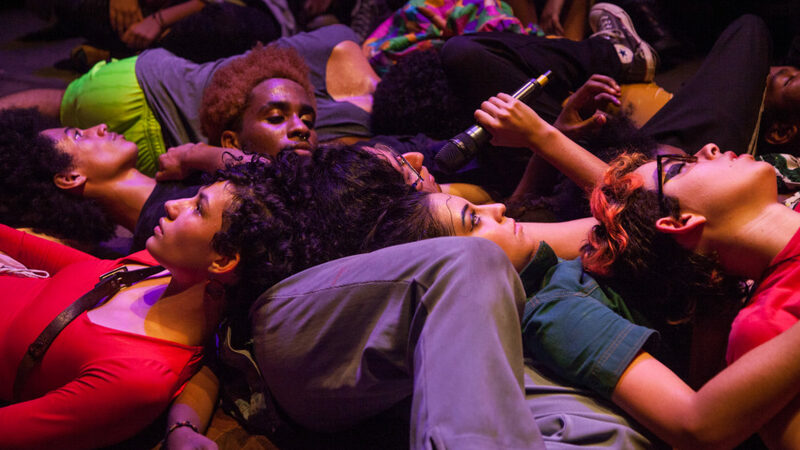 Get up close to the action as real life invades the stage for a party, a protest, an uprising. Directed by Martha Kiss Perrone. Part of Resistance in Residence, a British Council programme. A collaboration between Contact and Transform. Made with support from Casa do Povo, Forma Certa and Converse. Supported by British Council and The University of Manchester.